MOTIVATED SELLER Bring All Offers!! This beautiful and inviting fully furnished home has 3 bedrooms, 2.5 bathrooms, Study/Den plus bonus room and is looking for a new owner. First floor master suite includes a separate bathtub and shower as well as his and her sinks. The kitchen has a generous eating area, along with breakfast bar. Cool winter nights are warmed up by the wood burning fireplace. Outside screened in deck comprises of your very own sparkling pool, and in ground hot tub spa. This turn-key ready home is equipped with everything you need and is move-in ready. Can be used as a primary, secondary, vacation or income generating property. 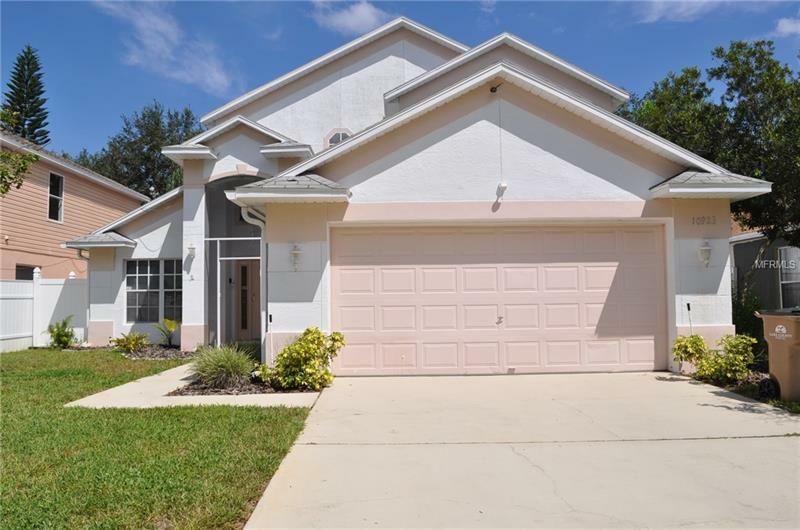 All of this is located just minutes from theme parks, restaurants, shops, schools, banks, and many major roadways for easy commute to anywhere in the Orlando area. The quiet subdivision is well suited for a family residence or the location makes it an excellent home for vacation, or long term rental.